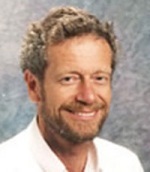 Usually during his regular visits to San Francisco to offer his own courses in Anthroposophic Health Studies at San Francisco State University (SFSU), Robert Gorter, MD, PhD is often invited to lecture at courses given by other Professors at SFSU as a guest lecturer. This video was taken in June 2009 as a “visiting distinguished guest speaker” by Richard “Rick” Harvey during Rick’s regular classes, to lecture on new concepts about cancer and its possible causes, and new and non-toxic approaches in cancer treatment. On request of the University, the video here presented was meant to document as a “witness” the lectures given by Robert Gorter as being “significant.” This video is an excerpt as a few repetitions in the course of the two-hour lecture were cut. In this lecture by Robert Gorter, emphasis is on new and credible nontoxic therapies in the treatment of patients living with cancer. Among other things, attention is paid to the immune system, and the effects of “fever-range, total body” hyperthermia (fever), application of Dendritic Cells, Newcastle Disease Virus, etc. In 2011, the Nobel Prize was awarded to three basic researchers who discovered the function of Dendritic Cells. The purpose of rewarding the Nobel Prize was to acknowledge the break-through dendritic cells will have in main stream medicine. Currently (2014), all major Medical Centers in the USA with their main focus on cancer research (like MD Anderson Medical Center in Houston, Texas) conduct studies with dendritic cells. 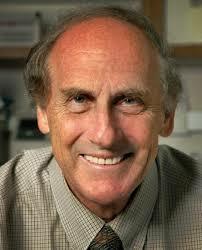 Dendritic cells research got a boost when Ralph Steinman won the Nobel Prize for Physiology or Medicine. Click here to read more about it. Erik Peper and Richard “Rick” Harvey are both renounced academics and experts in their fields. 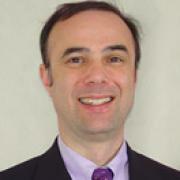 Erik is full Professor since the early 1980’s and Rick joined the faculty as an Assistant Professor several years ago. Robert Gorter collaborates very fruitfully with both and has been invited on numerous occasions to lecture in their regular classes as a distinguished guest speaker. Erik and Rick received many awards and public recognitions for their contributions as scientists and teachers. Several years on a row, their classes have always been (anonymously) ranked by students as belonging to the top 5 best courses given at San Francisco State University. Richard Harvey has a PhD for the UC Irvine Social Ecology program. His research includes developing stress-reduction interventions which promote psychological courage and hardiness. Before teaching at SFSU he was a research fellow at the UC Irvine Transdisciplinary Tobacco Use Research Center for five years, developed and ran the UC Irvine Counseling Center Biofeedback and Stress Management Program, and worked as a Maternal, Child and Adolescent Health Research Analyst in Orange County. He is the co-chair of the American Public Health Association, Alternative and Complementary Health Practices Special Interest Group, as well as a board member of the Biofeedback Society of California and the San Francisco Psychological Association. He has published in the areas of biofeedback, stress and computer-related disorders, tobacco cessation, and the psychology of hardiness and courage.